According to the Department of Foreign Affairs and Trade..."Australia contains one of the most diverse marine faunas in the world because of its geographical isolation from other continents and wide range of habitat types that encompass tropical to sub-Antarctic waters. The diversity and cleanliness of aquatic environments means that Australia is able to supply a vast array of delicious seafood products to the world". It is therefore understandable why tourists and Australians alike LOVE the available seafood and have developed new and interesting ways to prepare and cook it. 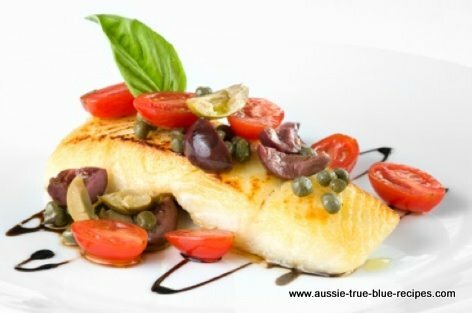 We are very lucky in Australia in that we have such access to our seafood that we do not need to resort to canned, frozen or other preservation methods in order to gain access to our seafood - for many of us can simply go to the nearest fishing spot and bring home a delicacy of one type or another. If we're not into the hunting and gathering, we can certainly shop at the local fish market knowing that our seafood is fresh, usually caught on the same day - and in clean, unpolluted waters. Are you a real sea food junky? Do you like to have healthy seafood in the comfort of your home? With the rapid growth of technology and the advent of internet, now you can order Maine Lobster at your home and you can prepare them at your kitchen. The best seafood includes lobsters, sea shells, squids, clams, shrimps, jumbo prawns, etc. Lobsters are extremely delicious and you can easily prepare them at your house. Lobster can be the best sea food for a lovely dinner.